, a German statesman, but more known as an accomplished scholar and bibliographer, was born in Hungary Nov. 4, 1737. Among his other diplomatic appointments he resided for some years in London as envoy from the Imperial court, and afterwards in a private capacity. 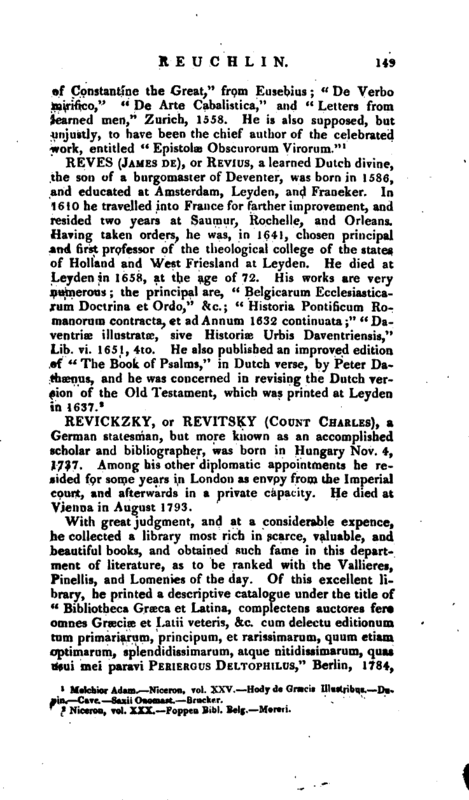 He died at Vienna in August 1793. Gent. Mag. vol. LXIV. 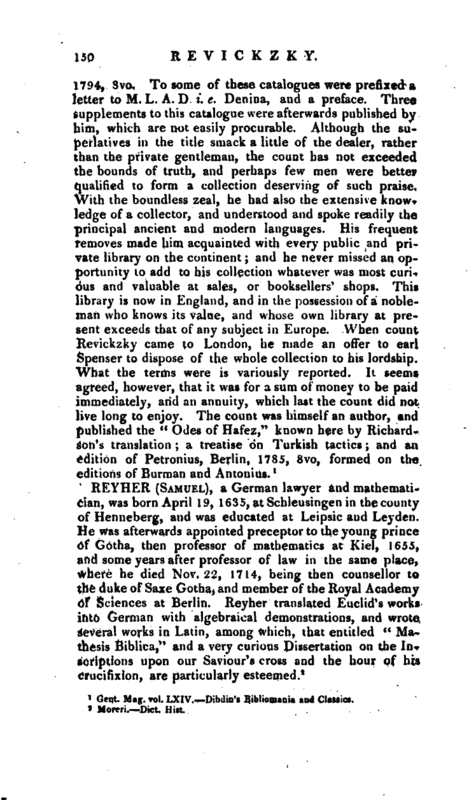 -Dibdin’s Bibliomania and Classics.